Chomsky: Why the Rest of the World No Longer Wants to be Like U.S. Many countries in the world see the U.S. as the single greatest external threat to their societies. 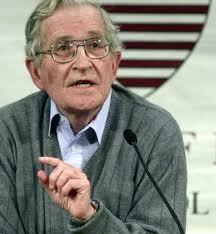 Noam Chomsky is a professor of linguistics and philosophy at MIT. Posted in AMERICAN BRAINWASH, CAPITALISM & SOCIALISM, CULTURAL POLITICAL ISSUES, IMPERIALISM, RIGHTWING & BIZ PROPAGANDA, THE WORLD, TOXIC CULTURE, U.S. POLITICIANS.